When learning harmony on the guitar getting your fingers around the various chord shapes is just the beginning. Understanding the relationships between the chords is what really counts and good starting point is get a handle on primary triad harmony. Many songs are almostly entirely composed of these three chords so if you can get familiar with sound and feel of I, IV & V's it's an excellent foundation on which to build. 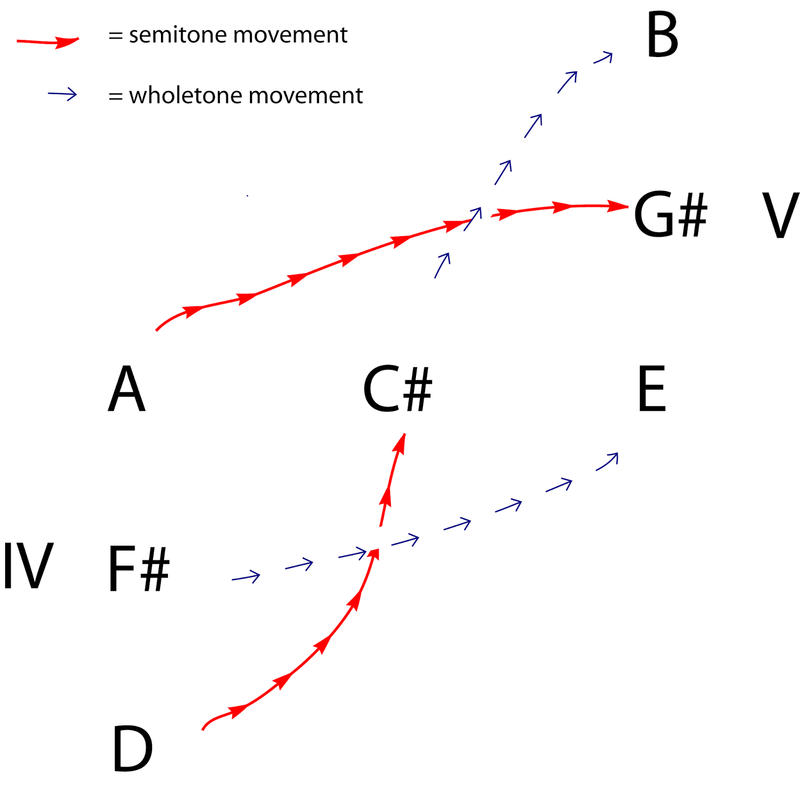 The following chart shows the part movement between the three chords. If you're going from the I chord to either the IV or V chord the same rules will apply. The horizontal axis is the I chord. 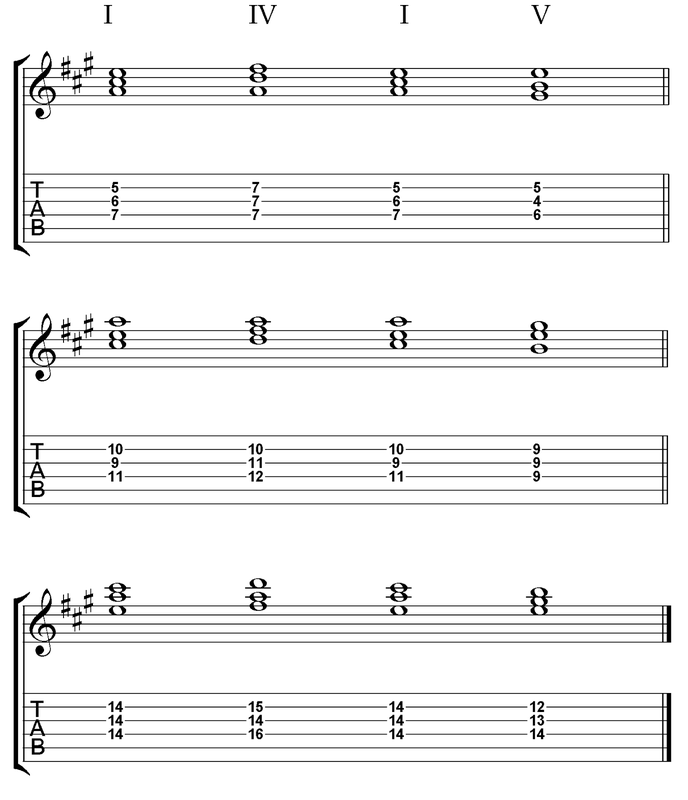 Here's the notation and tab for the way we're going to play them. The pattern of I - IV - I - V reflects the way they often turn up in chord sequences and such is almost a mini song. Bear in mind they can be used in almost any order though. Each group of three are as close to each other as possible. In other words there's the least amount of movement from one chord to another. You'll play a group of three shapes starting from the root position, 1st inversion and 2nd inversion in turn. The shape that was the V of of the first group will be the same shape as the I chord of the next position. Watch the video for this. It's easy to see.